Betty Ward is very humble about her landmark of 50 years since she began nurse training. She certainly didn’t expect the day to be acknowledged by colleagues at QEH but Betty, who has been a staff nurse in our day surgery unit for 20 years, deserved it for her dedication and loyalty to the profession. And the good news is that she has no intention of retiring just yet. It was back on May 13, 1968, that 18-year-old Betty Stevenson started two years of State Enrolled Nurse (SEN) training at Newmarket General Hospital (NGH). Prior to that she’d been on a nursing course at Wisbech Hospital and, following her SEN training, she worked in theatre at NGH for a year. So a further two years of training and exams ensued with a conversion course to State Registered Nurse, followed by a return to NGH in 1974 to work on the orthopaedic ward. Betty’s ability was being noticed and she became acting up sister in 1975 and got the permanent post two years later. Sadly, her role ended with the closure of the acute services at the hospital in 1992. It was then that she took the first of a couple of career breaks, nine months nursing her brother-in-law who had terminal brain cancer. One of her proudest moments came during her next spell of work, in a Littleport residential home for young people with Huntington’s disease, a condition which stops parts of the brain working properly over time. Betty said: “While I was there the faulty gene which causes Huntington’s was discovered. I used to take my residents to Addenbrooke’s for the research which led to that. Betty then embarked on some agency work, gaining experience in several different areas of practice before joining QEH in 1998, initially briefly working on Terrington Ward. When the day surgery unit opened, Betty switched to a staff nurse role there which, back then, entailed the full patient journey from being admitted to anaesthetics to theatre to recovery and back to the ward. Now she only concentrates on giving patients the best care and attention before and after their procedure. The 20 years’ stint has only been broken briefly, with a spell at March in Cambridgeshire when she discovered that she “did not like at all” being a practice nurse. Her work in day surgery unit for two days a week suits her fine, enabling her to also enjoy looking after her two grandchildren, Isaac (8) and Samantha (5) at other times. Betty’s daughter, Claire Ashworth, is a mental health social worker at The Fermoy Unit and Chatterton House. She also has a step-daughter Louise Stannard-Ward and step-grandson Luke Stannard-Ward (23). 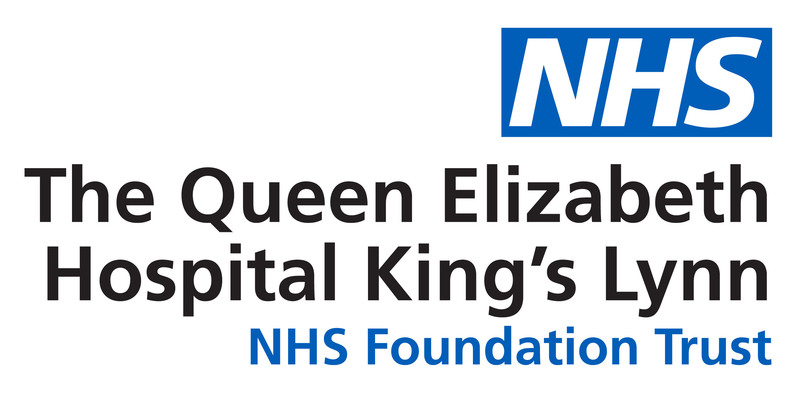 QEH chief nurse Emma Hardwick congratulated Betty on her 50th anniversary and thanked her on behalf of the Queen Elizabeth Hospital King’s Lynn NHS Foundation Trust. Arthur Levin Day Surgery Unit staff nurse Betty Ward (centre) with, from left, matron Julie Calton, chief nurse Emma Hardwick, senior sister Judith Spalding and junior sister Caroline Bush.